Once the dies have been adjusted, they never need readjusting. Simply snap the turret and dies into the turret press and you're ready to reload another caliber. 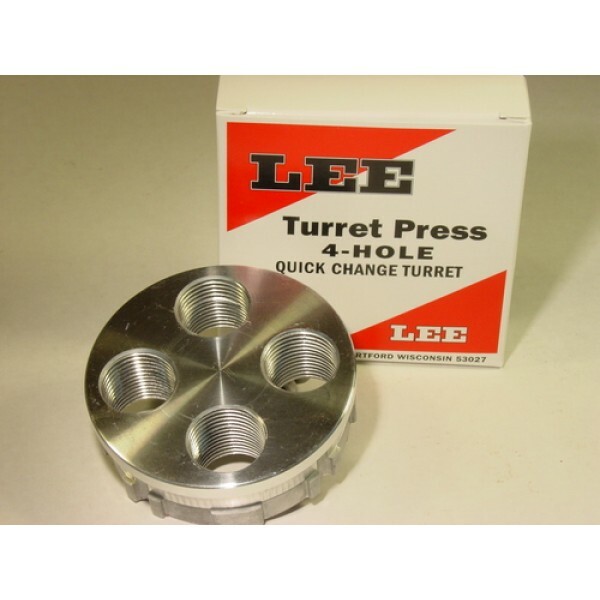 Uses 7/8"-14 threaded dies. NOTE: This 4 hole turret will not work in a 3 hole turret press or a Pro 1000 press.